FILM.UA Group together with the Ukrainian Motion Picture Association announce about the readiness to support projects with public finance. FILM.UA Group, thatisthememberoftheUkrainian Motion Picture Association (MPA) , hasdevelopedtheinitiative, orientedtocreation of favorableconditionsofUkrainian film industry development and buildingof a meaningfuldialoguebetween its players. 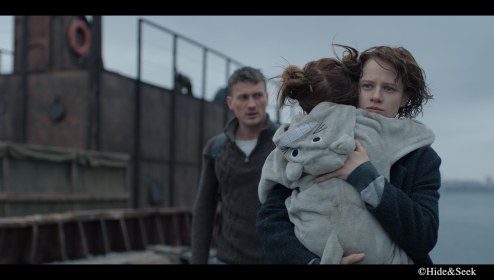 Since February 2017 FILM.UA Group offers special conditions and the package proposal for the entire cycle of film production and distribution for the projects implemented with the financial support of the Ukrainian State Film Agency. The package proposal includes special prices for such services as rent of pavilions and studio locations, equipment, costumes, props, post-production and CG & VFX. Also the group of companies is ready to take upon business support of the project: starting from promo and finishing on involving of international financing. "Our experience suggests that due to the high level of adaptability and professionalism FILM.UA Group can implement a full cycle of film production: from scenario development, production, funding search and co-production to distribution and delivery of content at the highest level. The special proposal that we have developed makes the Group services and competences more available. We are sure that the package proposals that we offer filmmakers, will allow not only to save money, but to save time and resources due to the high level of service and thus to focus on the creative part of filmmaking,"- noticed Yuriy Prilipko the producer of FILM.UA Group , CEO DCU & Postmodern. In addition, FILM.UA Group offers flexible co-production terms for the projects implemented with the financial support of the Ukrainian State Film Agency and is ready to enter into projects by its production, administrative and financial resources provided that creative and financial control from the side of the group. As Victoria Yarmoshchuk, the Executive Director of the MPA notices: "Today an open dialogue and cooperation between the State Cinema Committee and representatives of the film industry is of particular importance. Only by combining efforts, we will be able to achieve positive results for the development of the television and film industry to the full extent. That is why we call on all parties of the State Cinema Committee to support the initiative of FILM.UA and to join it. " Let us recall that in September 2016 the Ukrainian State Film Agency announced the State pitching results, the winners of which were 48 projects of various genres. Experts note the high quality of projects, as well as the variety of genres. "To support the film industry and the state as a whole, to join forces, market professionals in the most important matter for us – the matter of the national cinema creation. Our program will allow us to work together, so it means to make the best use of power, resources, communications and industrial experience of successful modern film studio," - comments Yuriy Prilipko. 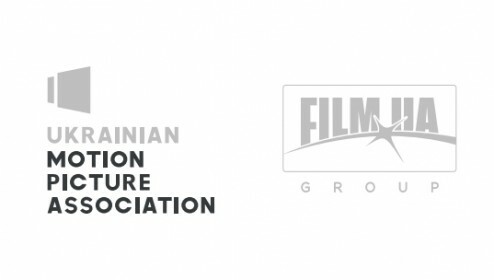 * Ukrainian Motion Picture Association (MPA) is a non-profit open professional association of film and television producers, representing the interests of the audiovisual content production industry of Ukraine. One of the main tasks of the MPA is to create favorable conditions for the national industry, together, in cooperation with government authorities and representatives of international organizations.